Indians in them there hills!!! This was definitely not a run of the mill job. 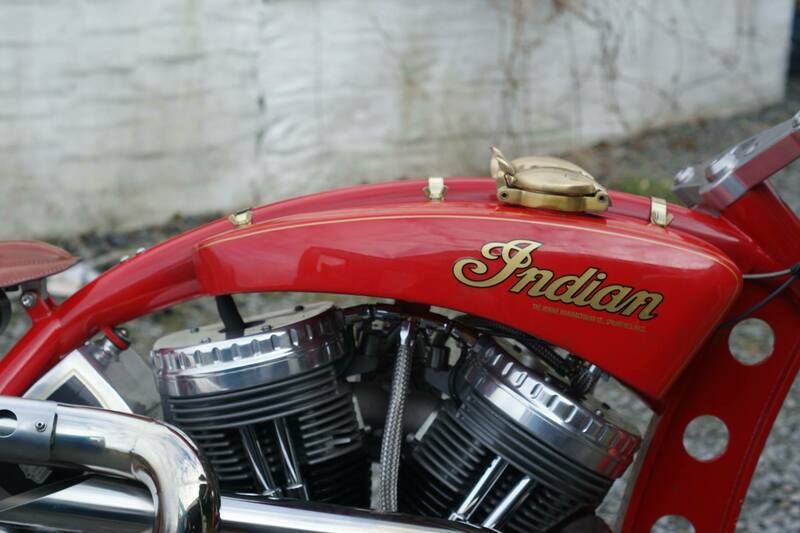 Its not every day we are asked to make tanks for a classic Indian custom. A far cry from our usual Cafe Race build but it was nice to do something different. A sort of retro “steam punk” look. Hand made alloy tanks with oversized brass “Aston” caps.and brass straps with brass wingnuts. Weird but it kind of works. We scratch built and fitted the tanks and the paintwork was carried out by our mate Tim Fisher – yet another top paint job by him. Its been a bit of a dull day and the photos don`t really do this justice – its an absolute beast of a machine.